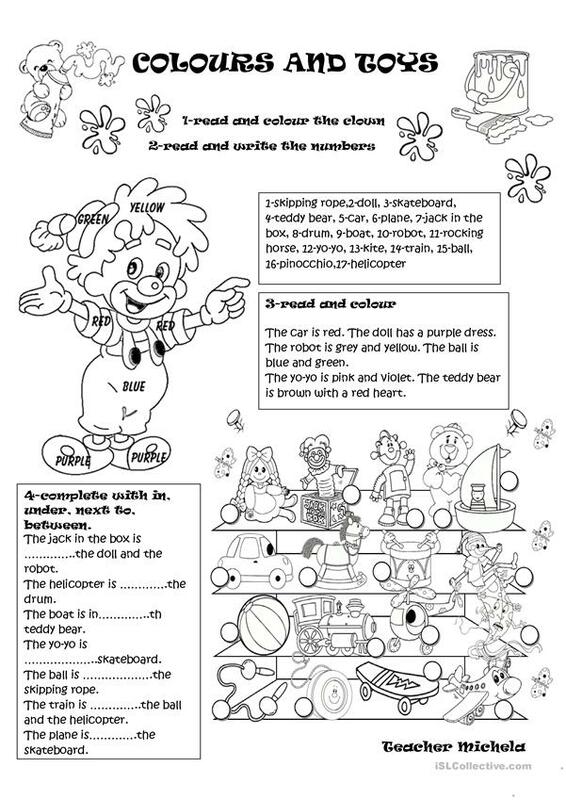 There are different activities: read and write the numbers, read and colour, read and complete using the right prepositions of place. Pics are from pinterst, I hope it can be useful! The above printable, downloadable handout is meant for high school students, elementary school students and students with special educational needs, learning difficulties, e.g. dyslexia at Elementary (A1) and Pre-intermediate (A2) level. It is a useful material for revising Prepositions of place in English, and is excellent for improving your pupils' Reading and Writing skills. It is focused on the vocabulary topic of Toys.